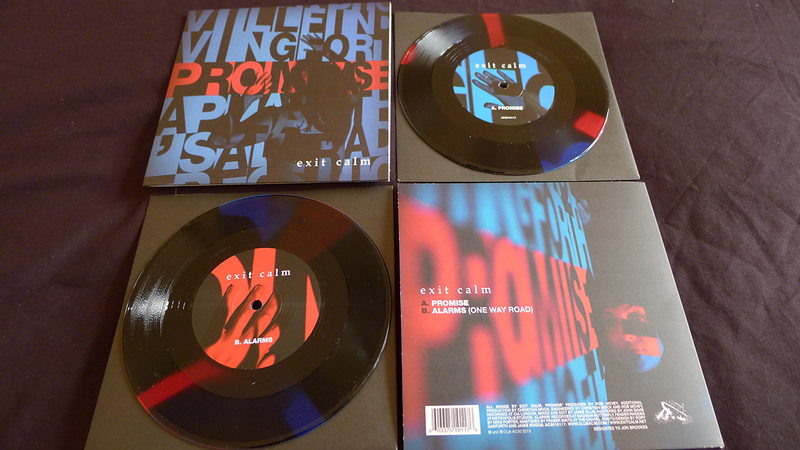 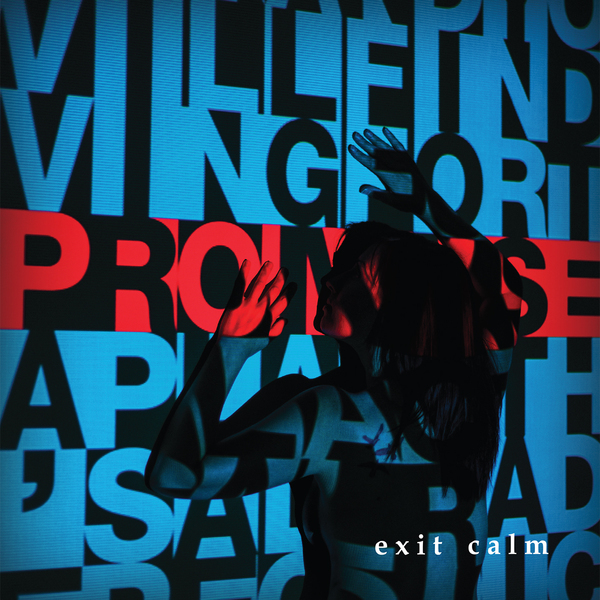 The third single from Exit Calm's second album "The Future Isn't What It Used To Be", is "Promise" backed with "Alarms". 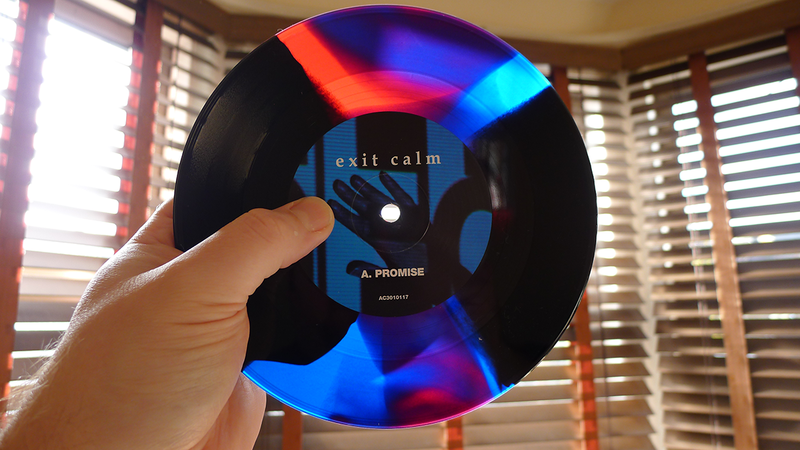 On very limited 7" vinyl, pressed with blue and red flashes on black heavyweight, in a thick reverse board sleeve. Vinyl ordered here will be shipped a couple of weeks earlier than the 20th January 2014 release date. Digital files unlock on January 20th 2014.